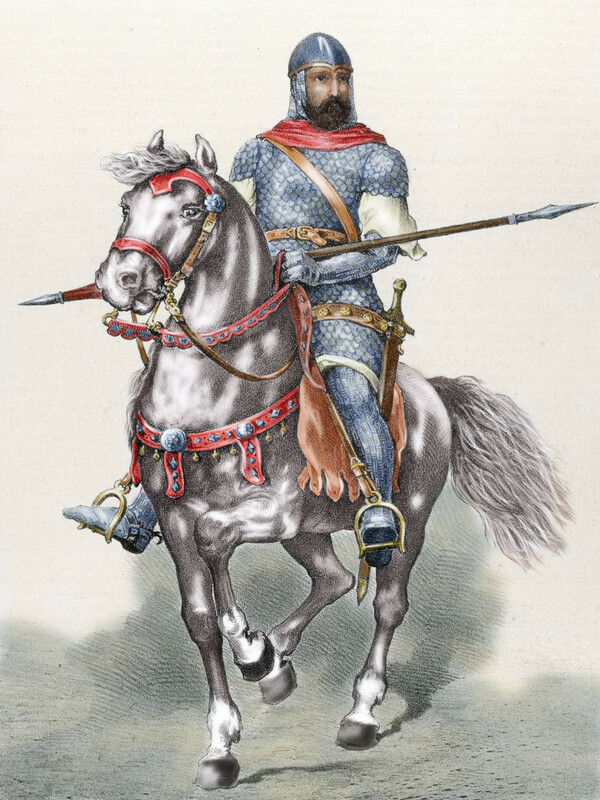 The resources needed for horses, armor and weaponry meant that knighthood was generally a job for the rich. Most knights came from noble families, and success in battle might lead to a royal grant of additional land and titles. 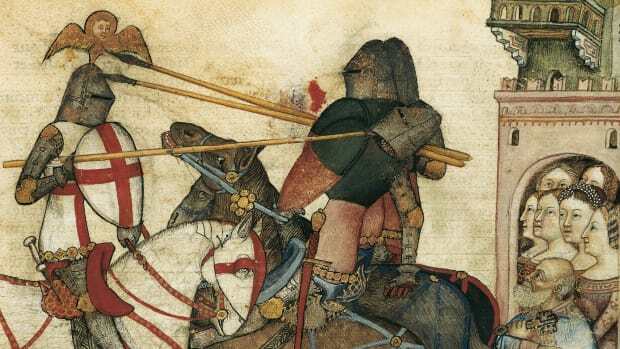 Naturally, as leaders of armies, knights were responsible for winning—and losing—some of the most important battles of the Middle Ages. But they also made history in other ways. Many held important religious positions as well as military ones. Some were writers of history and poetry, helping to craft the image of the knight that we still know today. Historian Simon Barton writes that it was only near the end of his life that El Cid fought the battles that established his place in history and legend. His forces captured the city of Valencia from the Muslim, Morocco-based Almoravid dynasty in 1094. Later that year, and again in 1097, he repelled Almoravid armies that attempted to retake the city. 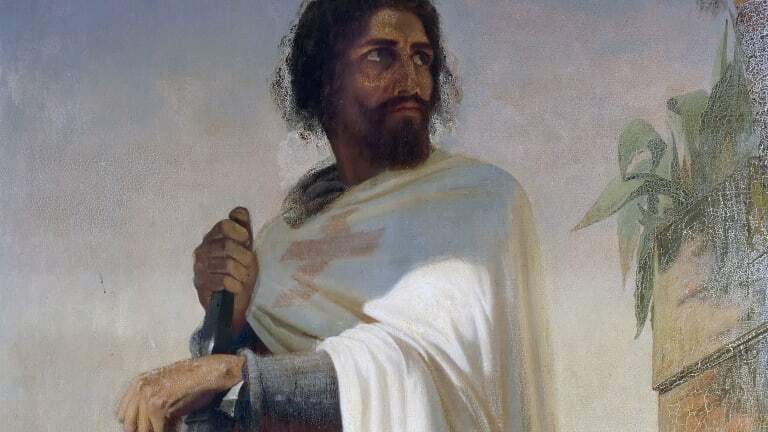 For centuries after his death in 1099, biographers, poets and—eventually—filmmakers, celebrated him as an honorable Spanish patriot and Christian warrior against the forces of Islam. 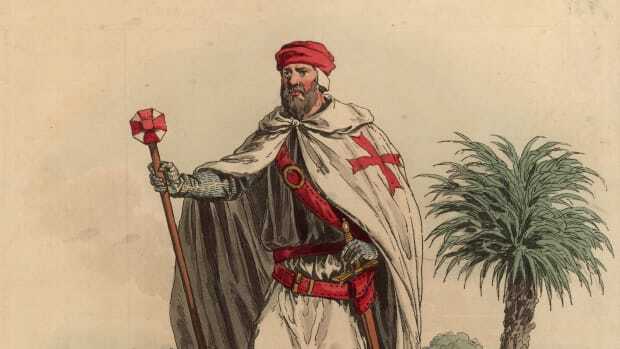 As the co-founder and first Grand Master of the Knights Templar, Hugues de Payens (c. 1070 – 1136) was a key figure in this history of the Crusades. 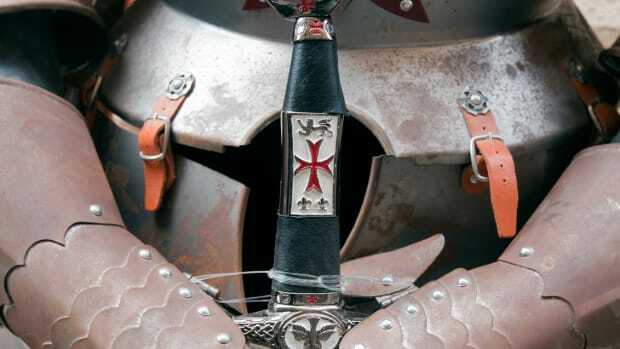 Historical details of his early life are sketchy, but the French nobleman may have fought in the First Crusade, in which European Christian armies captured Jerusalem. As Christians increasingly took part in pilgrimages to the holy city, they often found themselves under attack on the road. And so, around 1118, de Payens and eight fellow knights sought permission from Jerusalem’s king, Baldwin II, to form a protective service for the pilgrims. 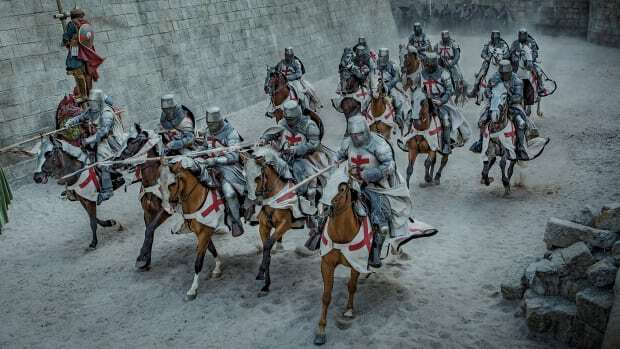 The Knights Templar earned support from Christian authorities, including Pope Innocent II, who in 1139 granted them exemption from taxes and from any authority except his own. The Knights Templar grew into a major economic force, with a network of banks, a fleet of ships, and chapters all over Europe. But, when Muslims retook Jerusalem in the late 12th century, the order lost its place there. More than a century later, King Philip IV of France dealt the Knights its death blow, having many of its members tortured and killed and finally executing its last Grand Master, Jacques de Molay, in 1307. 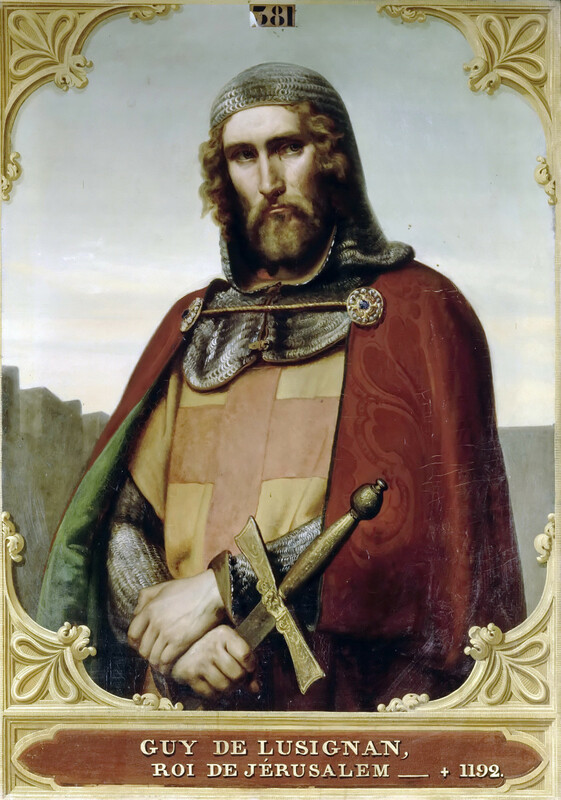 Guy of Lusignan (c. 1150 –1194) made history not through success in battle but by suffering a disastrous loss. A French knight, Guy traveled to Jerusalem, where he married Sibylla, sister of King Baldwin V. When the king and his successor both died, Guy became king of Jerusalem—but not without political drama. Many considered Raymond III of Tripoli to be the rightful king. This discord among leaders in the crusader state came at the time the Muslim military campaign against them was gaining strength. In July of 1187, the great Muslim military leader Saladin attacked crusader forces in Tiberias. Despite advice from some allies to hold back, Guy mobilized the Christian forces to join what became the Battle of Hattin. The crusader army marched for hours with little water, harried by Saladin’s men, who set fires to weaken their enemies with heat and smoke. Discipline within Guy’s army was poor, and Saladin won a decisive victory, which paved the way for the Muslim conquest of most Christian centers in the area, including Jerusalem itself, within a few months. Saladin’s forces captured Guy at Hattin, but quickly released him. Richard I later named Guy king of Cyprus. 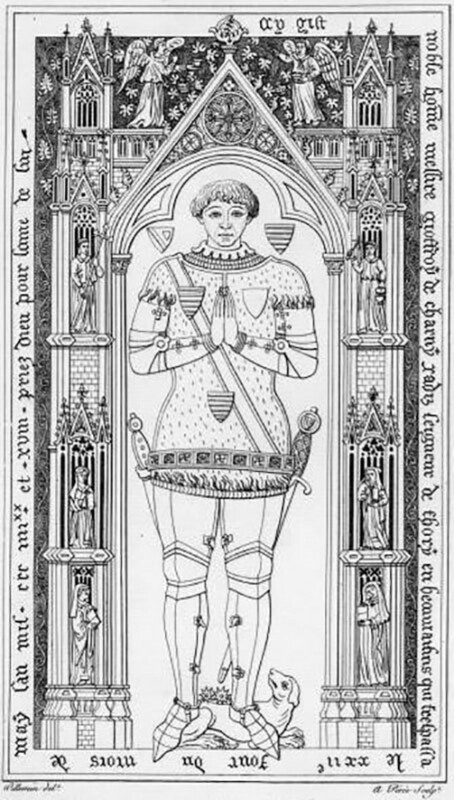 The fourth son of a minor noble, William Marshal (c 1146 –1219) rose to become one of the most admired knights in English history. 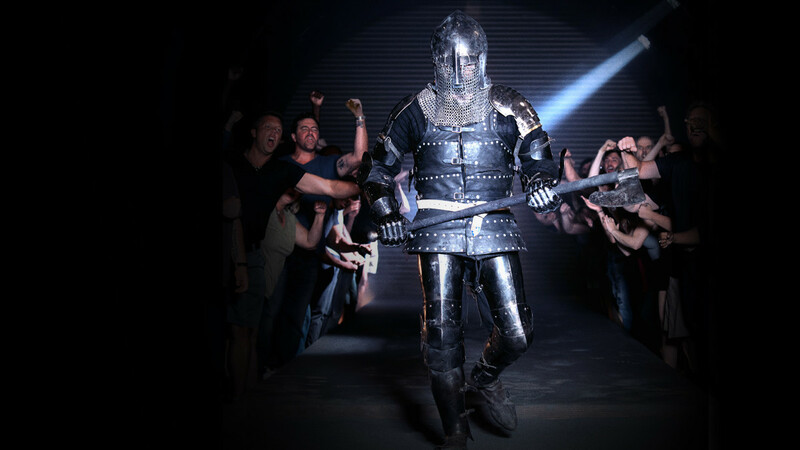 In his early years as a knight, he fought in tournaments where hundreds or even thousands of fighters would engage in melee-style mock battles. He rose to stardom traveling from tournament to tournament, and got rich on the prizes he won. He went on to serve five English kings, and to marry the heiress Isabel de Clare, becoming one of the richest men in the country. William helped in the negotiations between King John and his Barons that led to the signing of the Magna Carta in 1215. When King John died in 1216, making nine-year-old Henry III king, William became Regent of England. Although he was about 70 by then, he led the young king’s army to victory over French forces and rebellious barons the following year. Geoffroi de Charny (c. 1304 –1356) was known to many of his contemporaries as an exemplary knight, and we know him today mainly for the instructions he provided to his fellow knights on chivalry and battle. He fought for King Jean II of France and carried the standard of the crown into battle, a position of great honor. Geoffroi became a founding member of the Order of the Star, an elite group of knights founded by the king in 1351. Geoffroi wrote three books, apparently as a way to define the practical and spiritual demands of knighthood. His focus is on self-sacrifice and honor, which he argues are not just morally correct but also crucial to success in battle. For example, he warns knights not to fight only for the spoils of war, pointing out that greedy fighters might abandon the battle too soon to collect loot. Geoffroi was highly pious and is the first recorded owner of the Shroud of Turin. His instructions on the elevation of a fighter to knight describe highly symbolic actions and garments, including white clothes signifying freedom from sin, a red tunic representing the willingness to shed blood, and black shoes symbolizing the readiness to face death at any time. 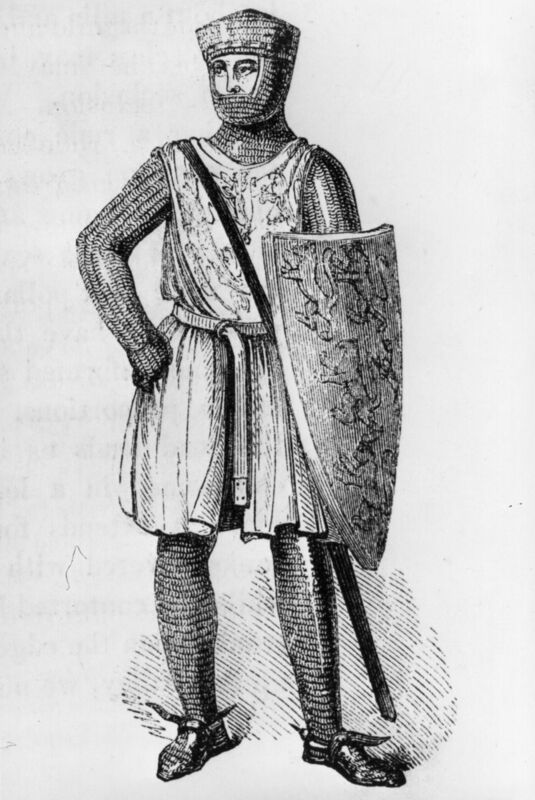 Edward of Woodstock, known as Edward the Black Prince. Edward of Woodstock (1330-1376), who became known as the Black Prince, was one of the most famous commanders during the Hundred Years’ War. He was the son and heir apparent of Edward III of England and served in his first military campaigns in northern France at about age 16. He became a commander in the war less than a decade later. His most famous campaign was the Battle of Poitiers in 1356, where he captured King John II of France. 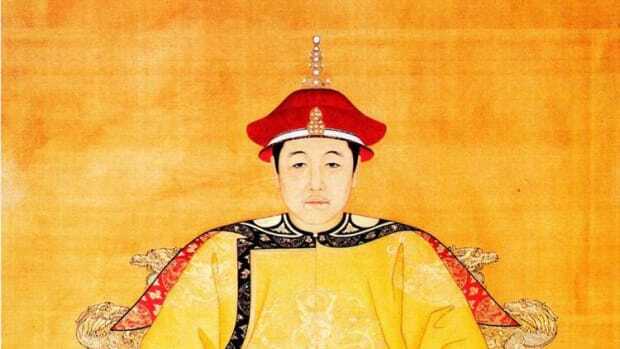 In accordance with chivalric conventions, he treated the king with great courtesy but, before releasing him, demanded a true king’s random of 3 million gold crowns, as well as treaties that granted England territory in what is now western France. 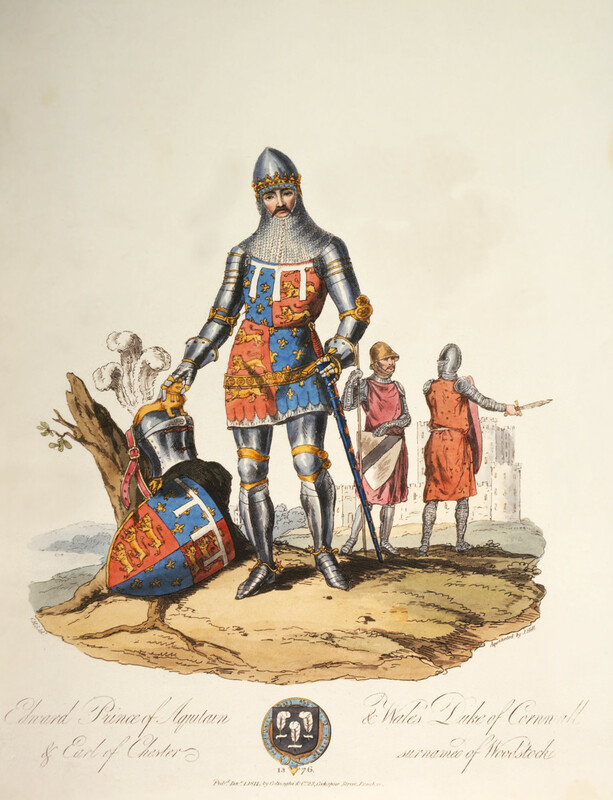 Edward was known for his knightly—and wealthy—lifestyle, enjoying jousting, falconry, and hunting, and providing charity to religious causes. 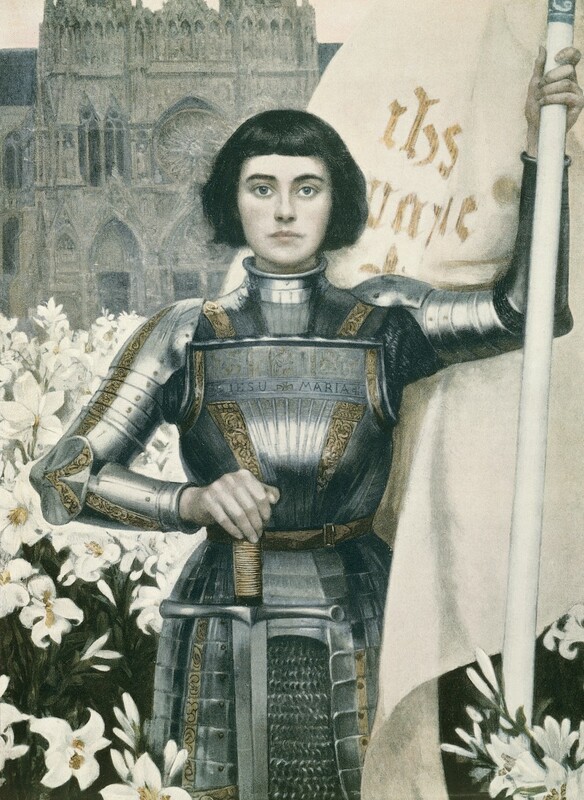 Born of humble parents, Joan of Arc (c 1412-1431) experienced what she saw as visions from God. Her visions compelled her to seek an audience with the future King Charles VII, who was fighting English forces over control of the French throne when she was 17 years old. She led French armies and was at Charles’ side when he was crowned in 1429. In 1430, she was thrown from her horse during a battle and eventually turned over to church officials, who charged her with witchcraft, heresy and dressing as a man. 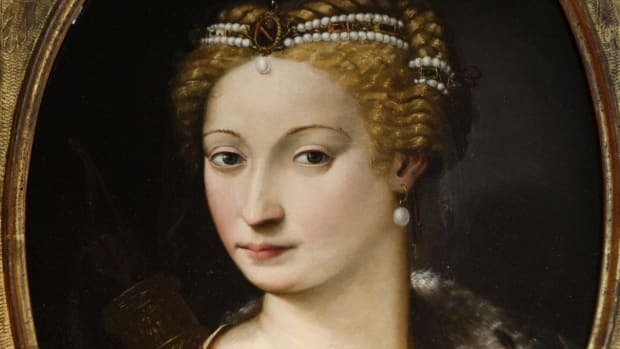 In 1431, at 19 years old, she was burned at the stake. Joan of Arc is often identified as a knight. That may not be how her contemporaries would have viewed her, but she shares a number of qualities with male knights of her time. She created military strategies, wore a suit of armor, and tied her armies’ victories in battle to her religious faith. Like many knights, she also won a title for herself and her descendants through her brave deeds: King Charles VII granted her family arms and nobility. Joan of Arc has long been a national hero of France. She was canonized as a saint in 1920.